What I'm Reading: Dead and Gone | Oh Sarah O ! 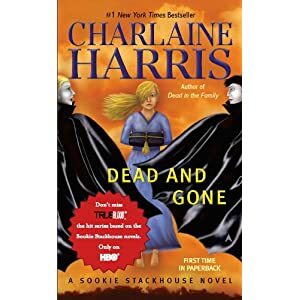 I am a fan of HBO's True Blood and I have been a huge fan of Charlaine Harris's Sookie Stackhouse novels ever since I received books 1-8 in the series last Christmas. Since then, I've shared my copies with my mom and even my DAD! Therefore, I am happy to report that Dead and Gone (book 9) is being released in mass market paperback TODAY! Look for it at your local bookstore or check it out here.